surprises, compliments, our Apple and Android gadgets – oh, and speaking of droids… I bet anyone who has ever seen Star Wars……LOVES Yoda™ and R2-D2™. I know I do. I have a unwritten rule that I don’t see the same movie twice, except the first Star Wars which I’ve probably seen a dozen times since 1977. I learned that “Empire” raised eyebrows when it was released in 1980. Instead of “Star Wars II,” it was titled “Episode V.” Episode VI provided a bit more order as, “Return of the Jedi” in 1983. Then came speculation about the three chapters preceding them. Lucas answered in 1999 with the release of “Episode I, The Phantom Menace” followed by “Episode II, Attack of the Clones,” in 2002 and “Episode III, Revenge of the Sith,” in 2005. Today, I truly sense we stand at the threshold of new world. It’s not good; it’s not bad, it’s just new. Technology is moving us into territory that was once touted as science fiction and is now part of our everyday diction. 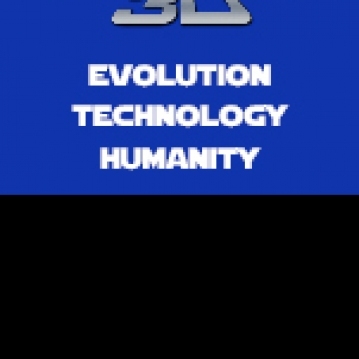 3D movies and remakes pale in comparison to the possibilities that are on the horizon. Have fun with these changes, incorporate some of Yoda’s wise words and always remember…The Force is with you. A Jedi must have the deepest commitment, the most serious mind. Jedi’s use the Force for knowledge defense, never for attack. the force, look for guidance. Accept what fate has placed before you. is the path to the dark side. 1. Which astromech droid™ is the faithful companion of Anakin Skywalker™? 2. What is the weapon used by Jedi™ Knights? 3. How many members are there in the Jedi™ Council? 4. What Jedi™ Knight is 25 years old in Episode I? 5. Who was able to schedule her Episode I shooting schedule around rehearsals for a Broadway production of The Diary of Anne Frank? 6. What role does Frank Oz reprise Episode I? Six Star Wars films will be released chronological order in 3D starting The Phantom Menace on February 2012. The others to follow -- a apart from each other. Enjoy the journey… once again.